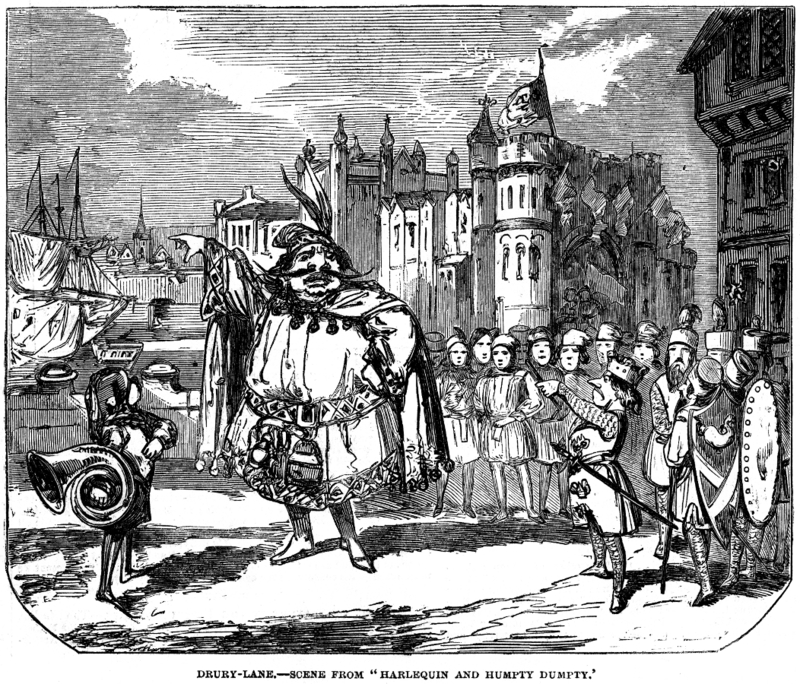 Scene from Harlequin and Humpty Dumptry at the Drury-Lane. 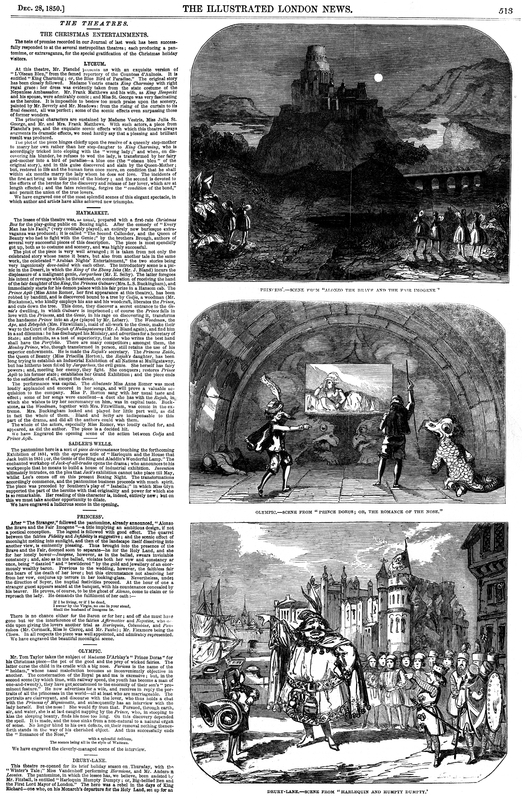 and also levied blackmail on the citizens of Old London; running off, among other things, with the "Fayre Maide of the Chepe"--or, rather, in the pantomime, attempts to do so, for the monster is prevented by her father’s apprentice, who ultimately defeats him and a weird crone, his prompter and assistant, and cuts up the giant, as a memento of the King’s return from the crusades. 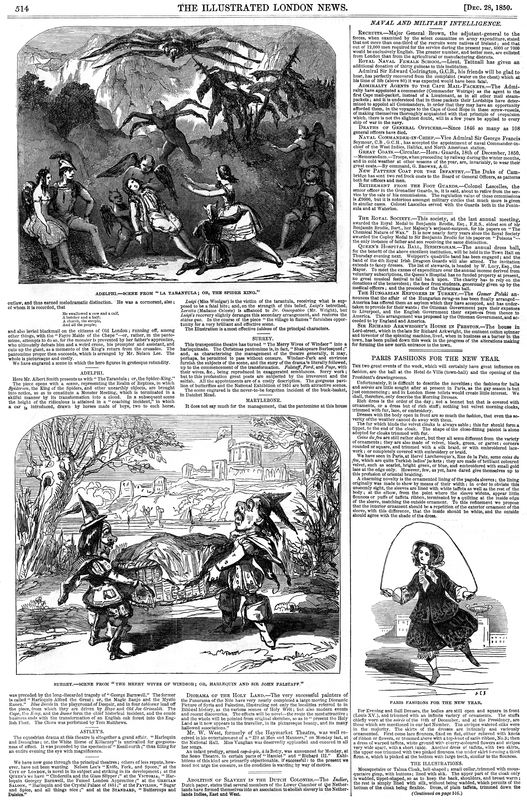 The pantomime proper then succeeds, which is arranged by Mr. Nelson Lee. The whole is picturesque and costly. We have engraved a scene in which the hero figures in grotesque rotundity.